Blue Polka Dot baby bean bag are comfy and super comfy to sit on. This Blue Polka Dot baby bean bag has a harness to secure your baby to the bean bag. It looks great in your babys room or anywhere in your household. 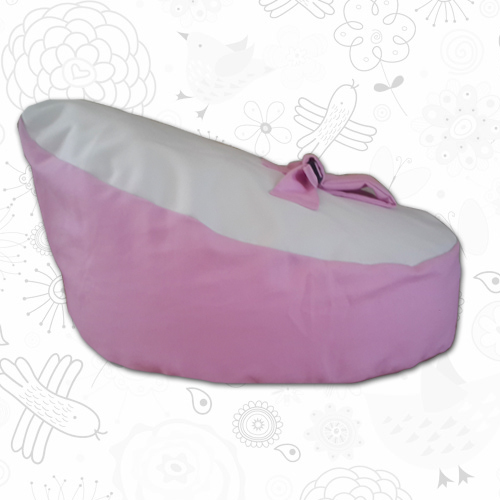 Many babies suffer from reflux, with our baby bean bags we move most of the filling to the top of the bean bag to ensure that the head is lifted slightly. Some newborns also suffer from flathead due to them lying down with their backs for long periods of time. 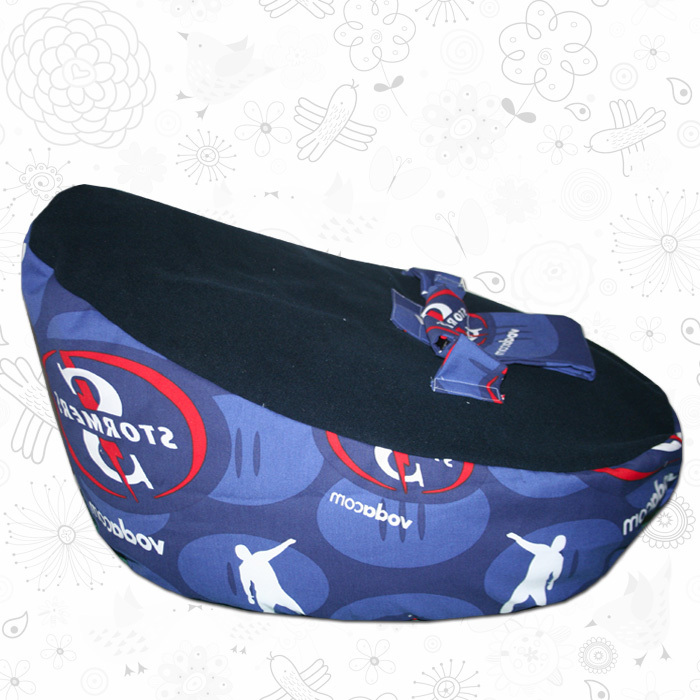 Our baby bean bag cushions their head and ensures they are comfy. 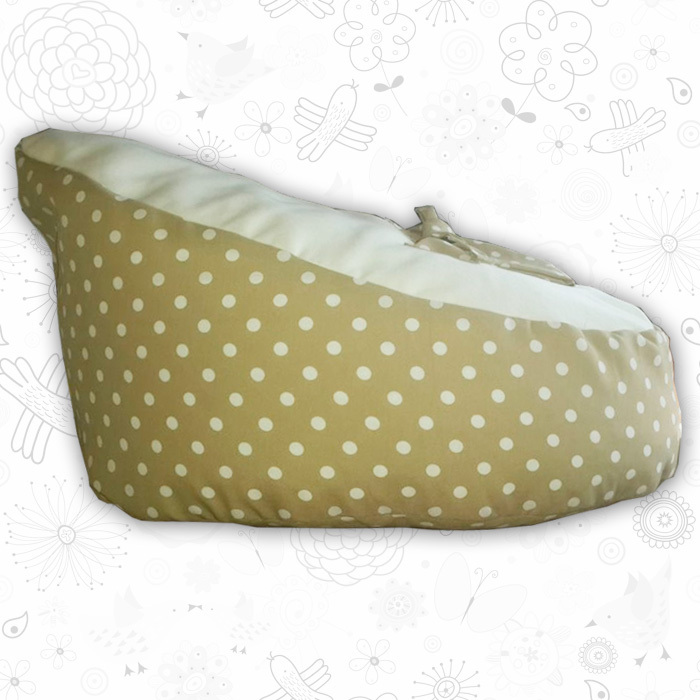 This Blue Polka Dot baby bean bag is such a great way to keep your baby comfortable. This bean bag is fully overlocked and double stitched for security and comfort. Extra strength and makes doubly sure that NO beans can escape. The beans are free to move around and get into all the available space, offering maximum comfort for you child. Great for newborns and developing toddlers. Very portable for overnight trips and perfect for just laying around the house while mommy does the chores. 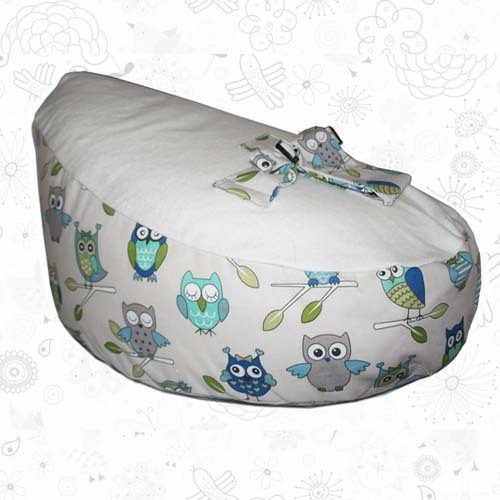 We recommend the baby bean bag cover with the harness for children from ages 0-10 months. When they are a little older you simply let out some of the filling. 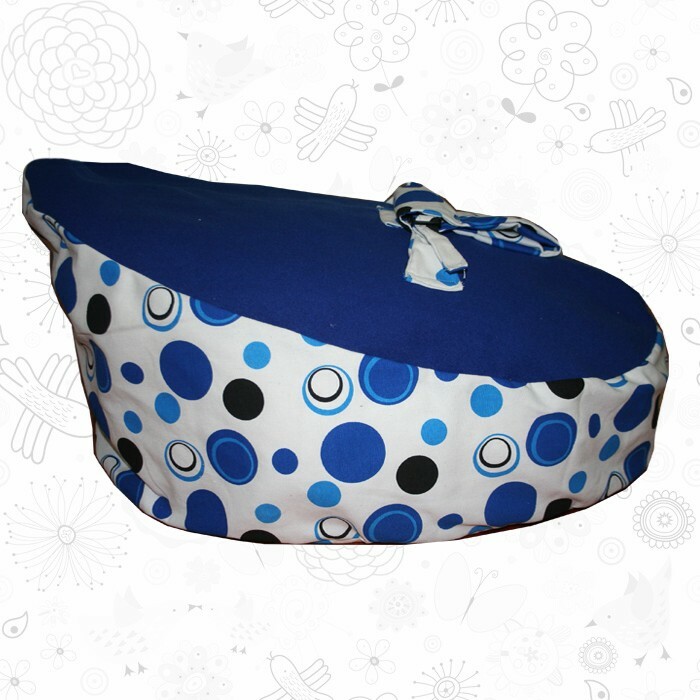 For more information regarding our Blue Polka Dot baby bean bag please click here.